The Pastor's Desk, Corpus Christi + Our Lady of Mercy. Dayton Ohio. Be sure to stay up to date on our latest scheduled events by using our events calendar. Get involved! Learn more about donating to our organization by clicking on the donate button below. You will be taken to our Online Giving web site. Our Lady of Grace Parish supports the Catholics Come Home ® initiative. Watch the TV ads on YouTube and visit the website. I would like to once again wish everyone in Pastoral Region 2 – (Corpus Christi, Our Lady of Mercy and Queen of Martyrs) a very Happy New Year. 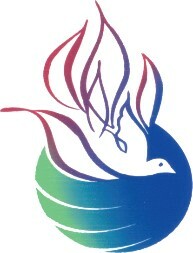 This New Year, I would like to provide some information about my Religious Order – The Congregation of the Holy Spirit Fathers (popularly known as the Spiritans). I want to begin the New Year by sharing with you all a little bit about the Spiritans. I would like you to keep the 4,000 members of the Congregation, in your prayers. This year 2016, my Congregation will be 313 years since its establishment. Globally, Spiritans are working in over 65 countries. We are in North and South America, Europe, Asia, Africa and Australia. The Spiritans are a part of a Roman Catholic religious congregation founded in France. We are Priests, Brothers and Lay Spiritan Associates. . The Spiritans have been in the Archdiocese of Cincinnati since the late 1800’s.Since 1921, Spiritans had dedicated their ministry in Dayton among African American Catholics and the inner city Parishes. I want to take this opportunity to wish all of our parish families God’s continuous blessings. Thank you all for the generosity of your time, talents and treasure. Please, remember the Spiritans in your prayers. You are always in our thoughts, hearts and prayers too. All the best in this New Year and beyond. Founded in 1703 by Claude Poullart des Places, a native of France, the Congregation of the Holy Spirit (Spiritans) consists of nearly three thousand members. 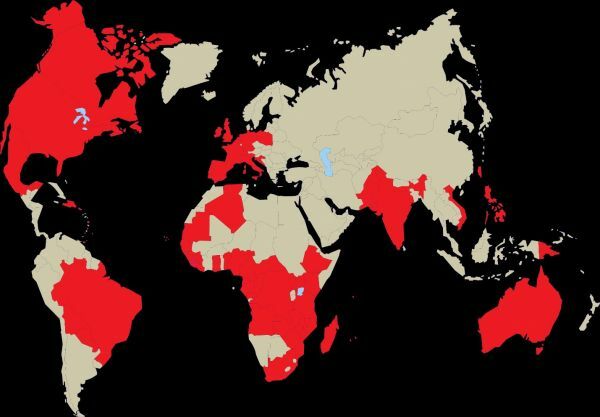 Spiritan missions can be found in more than sixty countries worldwide, dedicated to working with the poor and championing the needs of the disadvantaged marginalized around the world. 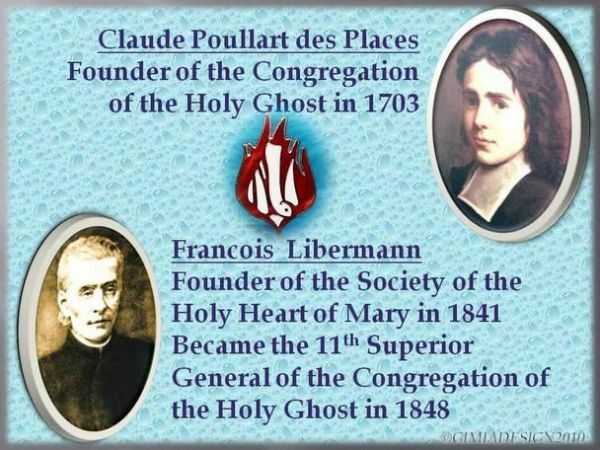 Spiritans are rooted in the missionary spirit of their founders, most notably Claude Poullart des Places and Francis Libermann, who is considered the Congregation's second founder and who merged his missionary zeal with the Spiritans in 1848. From the first Spiritan who served in Baltimore in 1794 to today, Spiritans have a rich history of working in communities in the United States where the need is greatest. Today, there are approximately 90 Spiritan priests and brothers working parishes from California to New York in various educational works, such as Duquesne University and Holy Ghost Preparatory School, and in different justice and peace ministries at the service of the poor. American-born Spiritans are working in many international missions of the Congregation, including Tanzania, Vietnam, South Africa, Mexico, the Philippines and the Dominican Republic. Another fifty Spiritans, mostly from Africa and Ireland, work and study in the U.S. Whether speaking out in pastoral leadership, educating our youth, advocating for social justice, or shepherding parish communities, the Spiritans are involved in the important work of evangelization. Promotion of justice and peace for the oppressed. Copyright © 2007 - 2019 Our Lady of Grace Catholic Parish. All Rights Reserved. Site designed and hosted by Diversified Computer Solutions, Inc.